Mornings with fresh from the oven blueberry muffins and coffee are delightful, especially when created with Bleuberet preserves. Imagine waking on on Christmas more to the scent of blueberry and sweet bread baking in the oven. Mouth-watering just thinking about it now! Preheat oven to 400°F and line a muffin tin with liners. In a separate bowl, mix together milk, vegetable oil, egg and vanilla. Combine wet ingredients and dry ingredients (batter maybe lumpy). Carefully fold in the blueberry preserves, do not stir it in completely. Fill cupcake liners 3/4 of the way with batter. Bake for 20 minutes (Until muffins spring back after being touched). 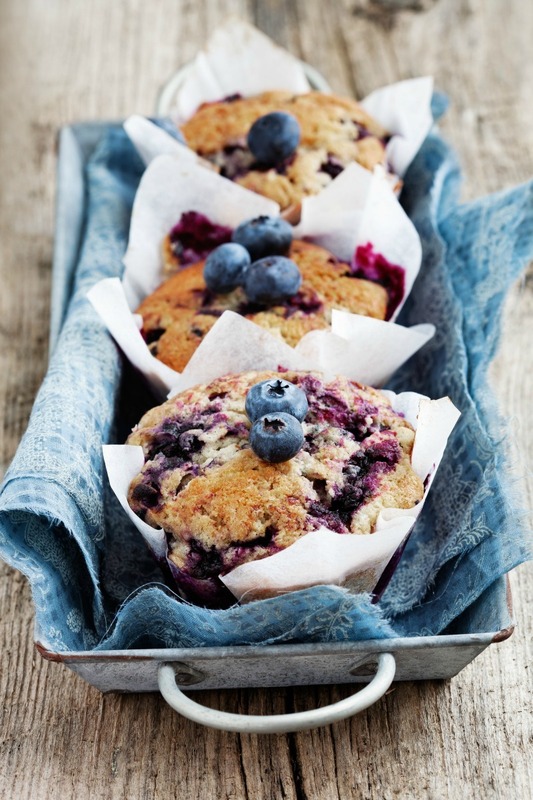 Allow to cool, then garnish with fresh blueberries and serve. Breathe in the salt air. Hear the waves crash on the rocks. Watch the fog roll out as the sun peeks over the horizon. It’s morning in Maine. 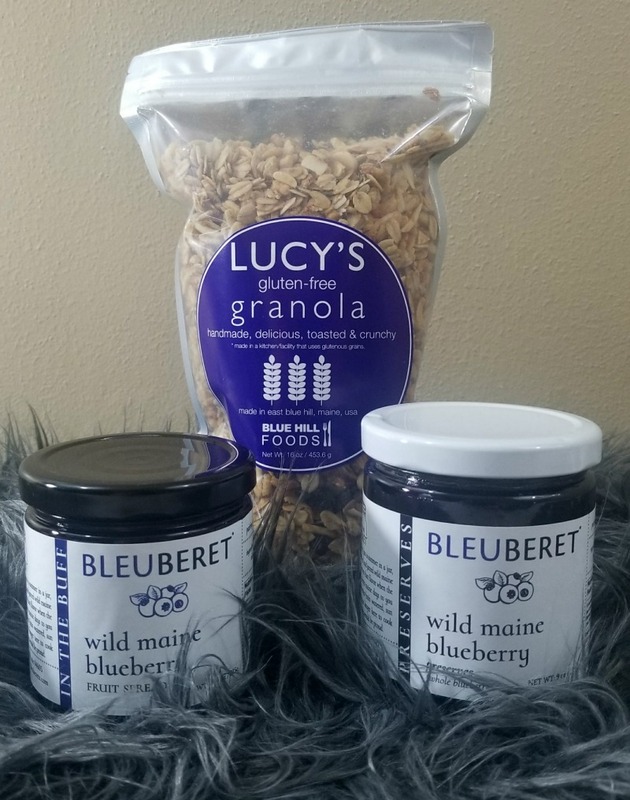 What better way to bring back a summer Maine morning than with Lucy’s Granola Gluten Free and Bleuberet Preserves and In the Buff Fruit Spread?!?! Just in time for the gift giving season, the Bleuberet Maine Morning Holiday 2017 Feature Gift comes wrapped with a blue bow perfect for your special someone even if that person is yourself. After all, we all deserve something sweet this time of year. Developed when Lucy was diagnosed with gluten intolerance and her desire to not give up eating her own granola, she began experimenting with her master recipe. She was able to develop a granola every bit as tasty as the Original Granola by replacing the wheat flakes, bran and germ with other delicious grains, seeds and the immensely popular addition of natural puffed rice. 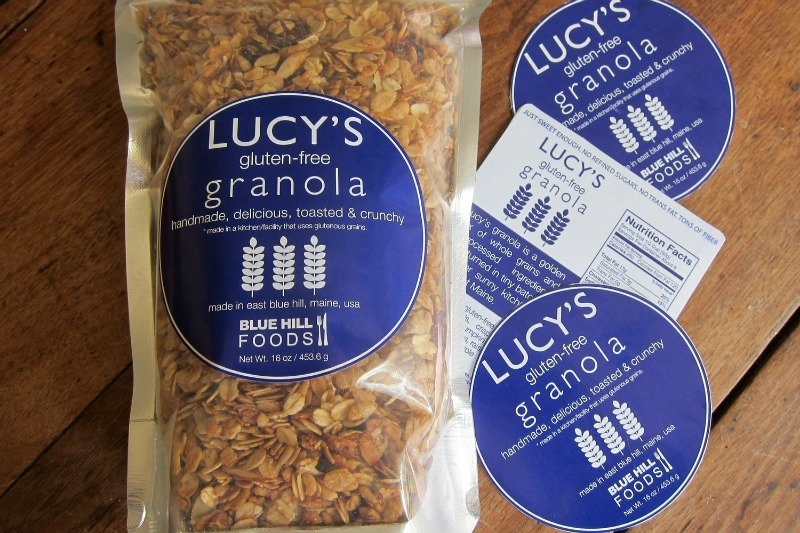 Many granola fans, including those who are not wheat-intolerant, love this version of Lucy’s Granola. 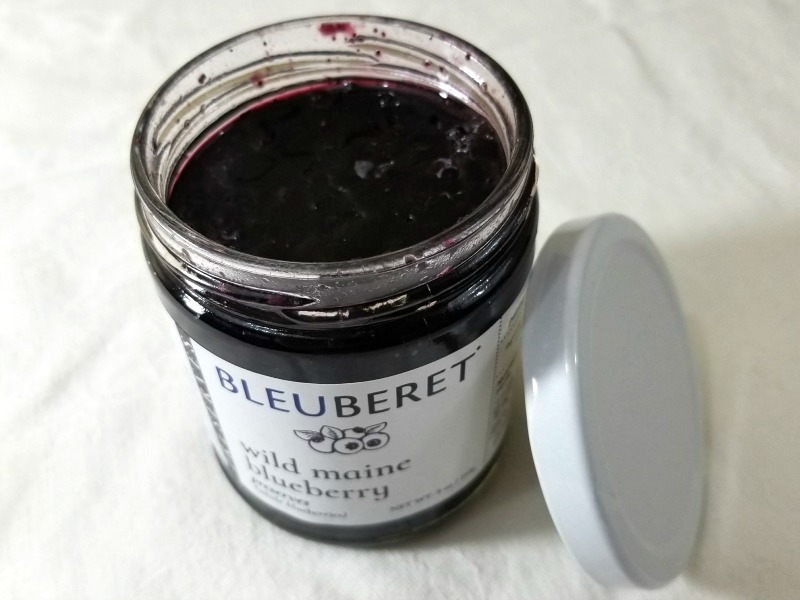 This is a wonderful Wild Maine Blueberry Jam that has a pure clean taste ideal for the blueberry aficionado. Goes fantastic with cheese, croissants, muffins, yogurt or even hot biscuits. Ingredients-wild Maine blueberries, pure cane sugar, fruit pectin ~ all natural, gmo-free, no gluten, vegan. 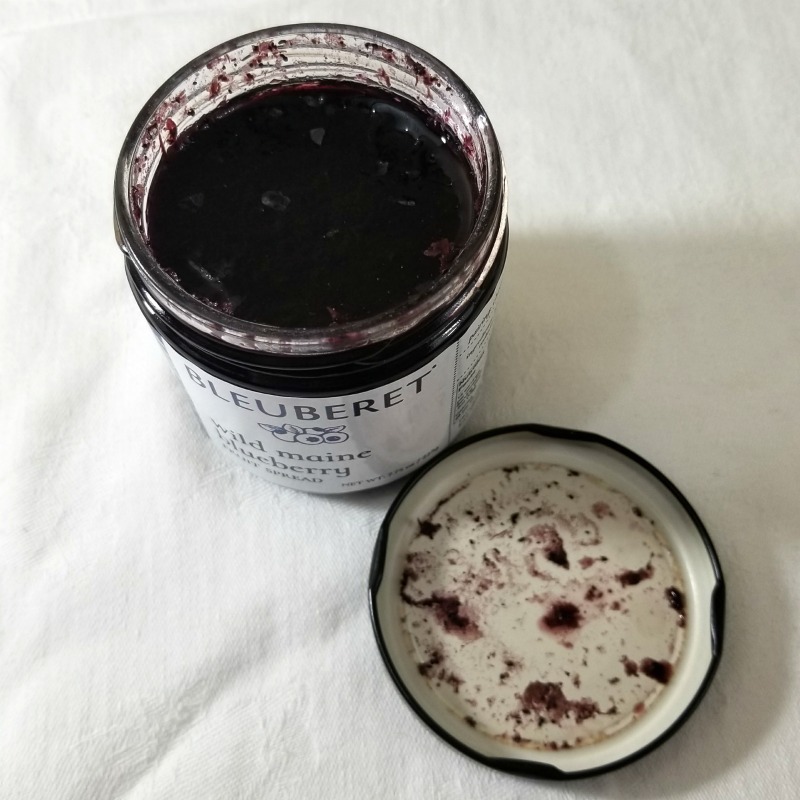 Yes, this is different than Bleuberet’s In the Buff in being that it is more of an everyday jam. Try this one with peanut butter, on toast, on a bagel with cream cheese, straight from the jar or even in our delicious Blueberry Preserves Muffins above. It is chock full of whole blueberries and a bit sweeter than our other jams to stand up to everyday purposes. Enjoy! 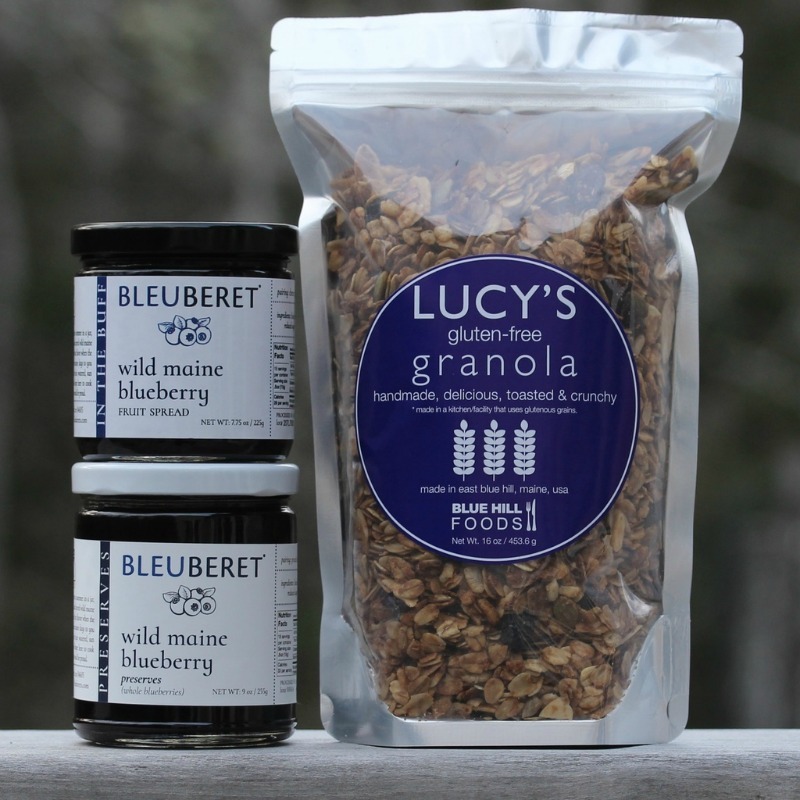 Want to win a Bleuberet Preserves Maine Morning Holiday Gift Package of your own? Giveaway is open to US residents, age 18+ only. Entry period ends on December 17, 2017. Visit Giveaway Terms & Conditions for additional details and rules.